What are the benefits of Goat's Milk? Goat milk is a nutritional powerhouse being full to the brim of healthy minerals and vitamins. And for those of you worried about losing out on your calcium intake, there is more good news. Goat’s milk actually contains more calcium than cow’s milk and is considerably higher in healthy medium-chain fatty acids! Drinking goat’s milk will give you a healthy dose of the minerals and vitamins that your body needs. It contains 33% of your recommended daily value of calcium as well as large amounts of magnesium, phosphorus, potassium, copper, zinc and selenium. It is also a great source of vitamins A, C, D and B2 or Riboflavin. What are the benefits of drinking Goat's Milk? Goat milk contains a similar amount of fat to cow’s milk nut the fat molecules are much smaller making it much easier for you to digest it well. Goat milk is also made up of just 2% curd compared to the 10% curd content in cow’s milk and the protein forms a softer type of curd which makes it far more digestible for your body. People with mild forms of lactose intolerance may also benefit from goat milk. It contains less lactose than cow’s milk so people who have difficulties digesting regular milk may view goat’s milk as a viable alternative. When you think about milk, your mind immediately thinks about calcium and you may be concerned that drinking less milk will have a negative impact. However, you may be surprised that goat’s milk which provides you with 33% of your recommended daily value actually contains even more calcium than cow’s milk which offers 28%. Goat milk is also a great source of those healthy medium-chain fatty acids that I am sure you have read about. While regular cow’s milk contains some 15 to 20% of these acids, goat’s milk boasts an impressive figure of 35%. This is significant because medium-chain fatty acids are linked to the prevention of heart disease and the treatment of many intestinal conditions as well as various other complaints. being stored away in the shape of body fat. 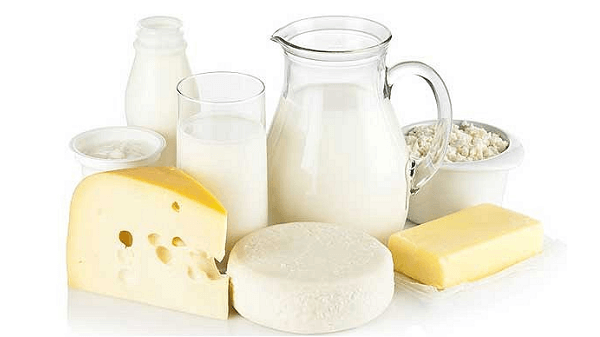 The medium-chain fatty acids as well as the triglycerides that you get from goat milk not only maintain your internal health but they can also help you to look good. These compounds contained in goat milk have moisturizing actions which your skin will appreciate. You may well notice that your skin starts to feel softer and smoother and appear much healthier. Even though the mineral content of goat milk is not that different to that of cow’ milk, there is evidence that the nutrients are more bioavailable when delivered through goat milk. Some studies have demonstrated that if you drink goat milk its important minerals like calcium, iron, phosphorus and magnesium are digested more readily. Scientists suggest that people suffering from conditions like anemia, malabsorption and osteoporosis can greatly benefit from drinking goat milk. Those with neurodegenerative disorders can also benefit from its high levels of selenium and zinc. The majority of people who are unable to drink regular cow’s milk are actually unable to digest a single protein called A1 casein. However, cow’s milk also has over 20 other allergens that can cause a reaction and is one of the reasons that cow’s milk is among the most common causes of allergic reaction in children. These reactions that can continue into adulthood include runny nose, hives, stomach cramps and colic. Unlike cow’s milk, goat milk contains no A1 casein. Instead it has another protein called A2 casein which is not linked to any of the negative reactions or inflammatory effects associated with cow milk. Goat milk is an excellent, healthy alternative to regular cow milk. It may take you a little while to get used to the difference in taste but we think it is delicious. It contains all of the nutrients contained in cow’s milk and more. It is also more readily absorbed by your body meaning that you will enjoy its nutritional benefits even more.